Nathan is a registered patent attorney, representing clients in a full range of intellectual property matters including patent, trade secret, trademark, domain name, unfair competition and copyright matters. He provides business and legal guidance relating to patent and trademark portfolio management, corporate intellectual property policies and technology development and acquisition. 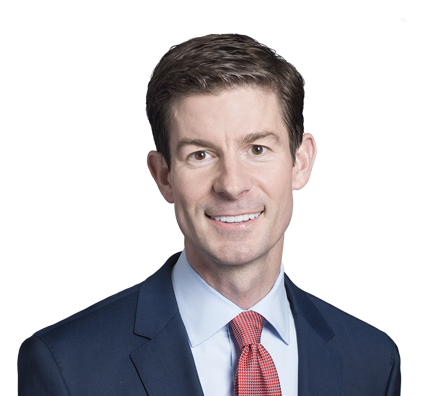 Throughout his practice, Nathan has guided start-up entrepreneurs, investors, mid-cap companies and large multinational corporations in developing strategies for acquiring, protecting, licensing and enforcing intellectual property rights worldwide. Management of international patent and trademark portfolios for both domestic and foreign corporations. Obtaining patents and trademarks to expand the scope of protection and limit competition for various manufacturers. Designing patent portfolios to protect the products clients manufacture and sell. Drafting and prosecuting hundreds of patent and trademark applications for clients in a variety of technologies. Representing companies in the consumer products industry in freedom to operate analyses, design-around efforts and obtaining protection for new products prior to market entry. Drafting and negotiating complex software development agreements and software license agreements on behalf of developers and customers. Analyzes open source licensing issues and advises clients on matters involving open source works. Additionally, Nathan has deep knowledge and experience relating to technology-related transactions, including drafting and negotiating complex agreements related to software development, software licensing, software as a service (SaaS), service level obligations, software maintenance and support services, reseller arrangements, cloud computing and hosting, and content and data licensing. Nathan regularly writes and speaks on intellectual property issues and, for the last eleven years, has also been a lecturer on intellectual property law for the College of Engineering at Kansas State University. Prior to his legal career, Nathan focused on engineering, including internships with Caterpillar Inc. and AGCO Corp. He also participated in three international championship student design teams. Obtained patents and trademarks to expand the scope of protection and limit competition for various manufacturers. Designed patent portfolios to protect the products clients manufacture, as well as the machinery and methods used to produce those products. Drafted and prosecuted hundreds of patent and trademark applications for clients in a variety of technologies. Represented several companies in the consumer products industry in freedom to operate analyses, design-around efforts and obtaining protection for new products prior to market entry. Represented clients in patent and trademark infringement cases in federal court. Prosecuted inter partes and ex parte reexaminations for multinational companies. Protected internationally recognized trademarks for multiple publicly traded and privately held clients. Drafted and negotiated complex software development agreements and software license agreements on behalf of developers and customers.